How wonderful is a cup of freshly brewed coffee! It's not just the glorious flavour that lifts us up, the caffeine definitely gives us a boost. This stimulating effect in the morning helps us get our days started. But why does coffee contain caffeine? It's no coincidence coffee trees contain caffeine. Caffeine acts as a natural pesticide and strengthens the defence systems of coffee shrubs as they ward off snails and other pests. There are, however, insects that enjoy caffeine. 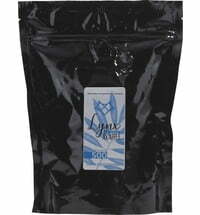 The coffee we drink is made from roasted and ground coffee beans from the coffee shrub. These beans come from the berries that grow on the shrub. These berries also blossom, attracting bees. The pretty flowers of the coffee bush contain caffeinated nectar that attracts bees. The bees love the flavour of the nectar, but also enjoy the buzz it gives them! Caffeine has the same effect on hard-working little bees as it does on us. Buzz buzz buzz! Every coffee lover knows about the ingenious effect of caffeine: it wakes us up and helps us concentrate. What would we do without coffee? Bees appreciate the versatile effects of coffee, and for the same reasons! Caffeine has a positive effect on our long-term memory. Bees also use caffeine to help them remember which flowers have the best nectar. A study has shown that bees greatly appreciate the invigorating effect of caffeine and therefore return to flowers containing caffeinated nectar again and again. Thanks to the caffeine contained in their nectar, it is easier for the bees to remember where they are. Because bees simply love a caffeine kick, they remember which flowers contain caffeine. For this reason, they focus on these flowers so they do not waste any time pollinating the wrong flowers. Bees quickly memorize the invigorating effects of caffeine. Over time, they develop a taste for caffeinated nectar - just as we do for our morning cup of coffee. These three facts clearly show how caffeine impacts the life of bees. But that's not all -when bees discover flowers with caffeinated nectar, they fly back to the hive and dance there, showing the other bees the direction of the flowers they discovered, sharing the goodness. Fascinating, right? If you want to treat your local bees to a special treat, you can plant a coffee tree in your garden or on your balcony. Coffee trees love a warm and shady location and grow their first flowers and berries after three to five years. 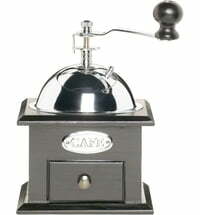 And who knows, maybe you can harvest and roast your own coffee beans! YUM!